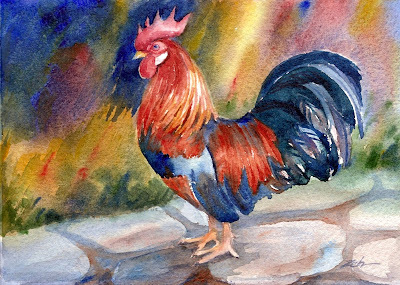 This perky rooster struts in the early morning sun ready for a new day. He makes a very colorful painting. This painting has been sold. See my artwork for sale at zehoriginalart.com. Thank you for stopping by. Have a super day!